What first comes to mind when you hear “California”? The beach? Well, think again. Though these fabulous southern California vacations may not include white sand, you’ll still need sunglasses when tanning by the lavish pools! Mental and physical stimulation await on challenging golf courses and absolute pampering in the resort spas. Treat yourself to a glass of local California wine or a hot air balloon ride over the captivating and varied landscape of the Californian desert, Temecula Valley, or the Santa Rosa, San Jacinto, or San Bernardino Mountains. We couldn’t even remember the word “beach” after our Top 10 Southern Cali picks! Whether you're looking for a vacation rental in San Diego, Mission Beach, Mission Bay, Pacific Beach, and La Jolla, Bluewater will have something that fits you to a "T". Seeing as you're currently on this website, it seems that you're pretty proficient when it comes to interacting with technology. If that's the case, head over to the Bluewater website and check out their huge selection of premium rentals. Browse the catalog or give their friendly staff a call, and they'll be more than happy to assist you in finding your dream rental. All rentals have a close proximity to the crazy amount of things to do and see San Diego is notorious for. Check out the luxury restaurants and spacious beaches- you won't regret either! San Diego had an estimated population of 1,394,928 as of July 1, 2015. In 1850, San Diego became part of the United States following the Mexican–American War and the admission of California to the union. If it's time to get back to a simpler way of life and slow down the pace of your life, then it's time for you to vacation at Smoke Tree Ranch – one of the most historic properties in Palm Springs. Smoke Tree Ranch is revered for its simplicity, breathtaking natural surroundings, and genteel hospitality. And this resort is all-inclusive! The Ranch Plan is a traditional Full American Plan, that includes your private cottage, as well as a hearty breakfast, lunch and dinner, daily, in the Ranch House Dining Room. Or you can opt for just the Breakfast Plan. These convenient packages are just one of the ways the Smoke Tree Ranch ensure you'll feel at home during your stay. Adding to the comforting atmosphere is the beautiful cottages, which provide guests with a flat-panel television, DVD player, coffeemaker, refrigerator, and private patio. When night falls on the desert, snuggle into your bed fitted with cozy down pillows and a down comforter. There's a long list of things to do at Smoke Tree Ranch, including desert golf, horseback riding, tennis, and swimming in the Olympic-sized pool. If you'd rather just unwind, book a spa treatment in the comfort of your own cottage. True relaxation awaits! It's time to visit Smoke Tree Ranch, where you can experience a touch of yesterday with the amenities of today. Enhance your stay at the ranch with an authentic experience at Smoke Tree Stables, where the wranglers will match you to the best horse for your riding level and lead you on the tour of your choice. During busy weekends and over holiday periods, the resort offers organized activities for children as part of their Kamp Kawea program. Kids enjoy activities such as scavenger hunts, outdoor games, field trips, pony rides, rock climbing, and nature hikes. Since 1930 this enclave of homes and guest cottages - situated throughout 375 acres of pristine desert - has been a retreat for some of the world's foremost families. It's a name you're probably familiar with – The Ritz-Carlton. A name that's synonymous with luxury, elegance, and heritage. And the Ritz-Carlton, Laguna Niguel is no exception. You will find this stunning destination resting high atop the cliffs overlooking Salt Creek Beach in Dana Point, California. Its presence alone is a statement of timeless sophistication. Leading the way in luxury lodging, this hotel is ranked among the finest in the world. It's a place so beautiful that it's hard to describe in words. Truly unforgettable views will leave you speechless and once you discover all of its facets of luxury, you will never want to leave. Your vacation experience will be set in a dramatic setting, complimented with world-class amenities and facilities befitting the most affluent of travelers. Dine at Raya, an innovative restaurant concept by acclaimed Chef Richard Sandoval showcasing Pan-Latin Coastal Cuisine. Escape to the calming and peaceful ambience of The Ritz-Carlton Spa, Laguna Niguel, where the constant presence of the ocean inspires renewal. Or set off on an eco-adventure, which will open your eyes to the unique ecosystems that surround you. When your eyes feel heavy, return to your timelessly elegant guest room, which blends classic furnishings and modern-day conveniences to create the ideal home away from home. For a truly unforgettable vacation experience, stay at the luxurious Ritz-Carlton, Laguna Niguel. The hotel is proud to boast its AAA Five Diamond status for the 27th consecutive year. The Ritz-Carlton, Laguna Niguel premiered as the first luxury beach resort along coastal Orange County. The hotel offers fantastic Children's Programs, which are inspired by imagination. Whatever time of year you choose to visit, Rankin Ranch is always at its absolute best! Location, amenities, cost- all of it combine to make Rankin Ranch is the perfect location for your vacation. Southern California is, of course, gorgeous year-round, but Rankin Ranch is particularly stunning. The wildflowers, green hillsides, and peaceful country atmosphere make for a vacation that can be both peaceful and adventurous. There's a huge amount of ways you can spend your rime here. Horseback rides are a great way to spend an afternoon, whether you're an experienced rider or a nervous novice. You can also go swimming, hiking, or even fishing for Rainbow Trout in the ranch pond. With accommodations as spectacular as the service, make Rankin Ranch your next vacation getaway! The Ranch is 31,000 acres! 60% of the clientele here is repeat business, which just speaks to the quality of experience you can expect! Rolling hills and manicured fairways welcome you to the sprawling 205 acre oasis known as Pala Mesa Resort. This ranch style resort is the perfect place to get away from it all while not being too far from wine country or San Diego. The feeling of relaxation will wash over you long before reach the resort. As you approach the secluded grounds you will be in awe of the distant lush mountains and postcard like vistas that central California is famous for. The feeling of relaxation is extended to every aspect of the resort. Accommodations are luxury and will have you feeling right at home. The rooms are spacious and filled with amenities. For example the King Room is a 485 square foot vacation sanctuary. It features a pillow top king sized bed with fine linen, a marble top wet bar and comfortable furniture to relax in as you watch the LCD flat screen TV. No matter the room you choose you'll have a stunning view of the local landscape and a private patio or balcony to enjoy it from. The activities to enjoy are numerous and the premier one for this resort is golf. Pala Mesa Golf Course is a beautiful course that is a challenge for golfers of all skill levels. After a long day grab a meal at Aqua Terra Restaurant. Enjoy the panoramic views while you eat culinary delights prepared by Chef Sean Sullivan. This is the perfect venue for a picture perfect wedding, a memorable conference or just to relax and go on a wine tasting excursion. Contact the knowledgeable staff and find out why Pala Mesa Resort is for you. Only a short trip from the resort is Oceanside, CA. This is a great place to sit on the beach and soak up the sun. The area is filled with activities and equipment rentals if you feel like water sports. 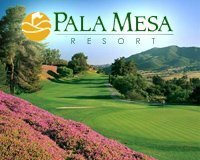 There are numerous packages and deals offered by Pala Mesa Resort. You can choose from golf, romance or wine tasting packages. Contact their customer service to find out more. With over 300 homes and cabins scattered around the Big Bear area, Big Bear Vacations' catalog is as complete as its value! However you choose to experience Big Bear, you'd probably prefer to do so while staying in the best accommodations you can afford. Don't worry- Big Bear Vacations has you covered! Their wide array of rentals all feel like something you'd find in a five-star hotel, with a price that won't break the budget. When you're ready for some adventure, simply step out your front door and hop into any number of activities, from exploring the 23 miles of lake shoreline to zip-lining, mountain biking, and kayaking! 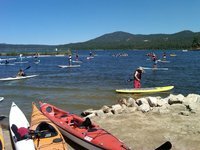 Big Bear Lake is 3,000 acres of crystal clear H2O! San Bernardino National Forest is more than 600,000 acres- plenty to explore! Whether you're looking to rest and recharge or to find a bit of vacation excitement, Rancho Las Palmas Resort and Spa is the place for you! Relax in a Spanish colonial-inspired room with an elegant and simple palette of beige, sand, and ivory that reflects the desert sands of the area. Curl up beneath the plush down comforter on the bed or step out of the french doors onto a private patio or balcony and enjoy a beautiful view and desert air. More than just comfortable rooms, Rancho Las Palmas offers a wealth of activities. From soothing spa treatments to the excitement of a live show, from playing a game of tennis at one of their twenty-five courts to splashing through their family pool, there is something for nearly anyone. And, if that wasn't enough, As if that wasn't enough, the resort is ideally located just minutes away from great area attractions, from the Agua Caliente Casino to the Children's Discovery Museum of the Desert . The Plaza at Rancho Las Palmas offers live music four nights a week. Stop by for a drink and live entertainment! Want to get away from the resort for a moment? Nearby, you can take a jeep tour through the expansive Joshua Tree National Park, offering 585,000 acres of stunning desert scenery. Looking to relax after a long day of activity? Indulge in a treatment from Spa Las Palmas using pure, organic desert botanicals like sage, lavender, verbena, chaparral and cactus. It’s time to venture south. To Pismo Beach’s SeaVenture Resort! Sand Dollars and seashells stud the seashore here in the quiet corner of California. Migration may be your best idea yet! Follow the flock to the beaches of Southern California. Float into featherbeds, dissolve into ocean deck hot tubs, and soak in the sunset over the Pacific Ocean. You’ll revel in the magic of coastal comforts, small town charm, and the beachside beauty of SeaVenture Resort. The Beach House is best for beach combers and sun worshipers, but you won’t miss out on the sand and the sun from the comfort of your own suite complete with oceanside deck and hot tub. Marble finishes, custom furniture, and the fireside glow of your own fireplace lift the late night chill hanging from the star-studded sky. Smoky s’mores spill into the dark, where the song of the sea seals into memory. From cool, crisp chardonnay to a bold cabernet, Californian wines will complement your courses. California’s Central Coast wine country is represented well in the fabled fare of the SeaVenture Resort Restaurant. Footprints disturb the fragile coastal beach, rippling the sand into a million little sand-crested waves. Cement the romance into memory with an unforgettable visit to Pismo Beach at SeaVenture Resort. You don't have to leave the sweets of the city behind. Explore the onsite spa for services you'd only expect to find between the skyscrapers and high rises of Hollywood. Want to be close to LA but away from the crowded city? Stay at the luxurious Terranea Resort – LA's premier oceanfront resort. Terranea Resort sits at the edge of the Pacific Ocean on the Palos Verdes Peninsula. Dramatic views can be enjoyed from many areas of the resort, including from the balcony of your warm, spacious guest room or suite. The hotel guest rooms are residential in style, making you feel at home on your vacation. If you desire something more private, Terranea Resort also offers villas, casitas, and spa club bungalows. These accommodations will provide you will more expansive views and more space for entertaining. During your stay you get to experience all of the great amenities that Terranea Resort has to offer. Hit the links on their beautiful 9-hole golf course, schedule a restorative treatment at the luxurious spa, and tickle your taste buds at one of the resort's magnificent fine dining options. At Terranea, the world is at your doorstep. Embrace it with a coastal fishing trip, whale watching excursion, scuba diving adventure, or a horseback ride on the beach. Come discover a world that's not so far away at the luxurious and refined Terranea Resort. At Terranea Resort you can go kayaking, surfing, biking, preserve hiking, and even practice falconry. While at the resort, be sure to visit Marea, a high fashion boutique that encompasses women's ready to wear, unique accessories and shoes, casual men's clothing and a creatively fun children's section all within a beautifully designed space. How about making your next vacation a private island getaway? And no, you don't have to leave the U.S. The destination we're talking about is Paradise Point Resort & Spa, a private 44-acre island tucked away on gentle Mission Bay. It may be its own private island, but Paradise Point Resort is still close to everything, including the famous SeaWorld Adventure Park and downtown San Diego. But you definitely don't have to leave the island to have the time of your life. Spend your vacation lounging by the pool, going on an exhilarating jet ski adventure, or a bike ride along the bay. Paradise Point Resort & Spa offers a multitude of recreational activities for all ages, from beach bonfires to sailing lessons to mini-golf and just about everything in between. Additionally, this tropical island resort offers a state-of-the-art fitness center, full-service marina, five swimming pools, and various sport courts! If you're in need of relaxation, spend some time at The Spa at Paradise Point, an intimate and inviting San Diego day spa sanctuary where you choose your sensory destination. Select Hawaii, Bali, Fiji, Thailand, or the classic Mainland and experience signature treatments and services using techniques and ingredients indigenous to each island. Special activities offered during spring break and summer include an on-site children's camp, the Island Adventure Club, which hosts activities such as arts and crafts, treasure hunts and guided nature walks through the abundant lagoons and gardens. With a sterling record, immaculate customer service, and pristine properties, you need look no further than McLain Properties for all of your San Diego rental property needs. From cottages on the beach to inland castles, the rentals of McLain Properties are all full of San Diego charm and splendor. A strict sense of quality is meticulously maintained throughout the entire catalogue of rentals, but the homes do vary in size and opulence ($150,000 condos up to $9,000,000 beachfront investment properties), Whether you’re in search of relaxation, adventure, or just an afternoon on the beach reading a book, your paradise awaits you with McLain. The San Diego Zoo is nationally known for its excellence! With a plethora of lodging options and a cornucopia of fun to partake in, Wonder Valley is a superb choice for your next vacation! Whether you're staying in a small cottage with a patio or a spacious resort-style family room, you'll be enjoying unparalleled luxury throughout your stay. In addition to your supremely cozy accommodations, staying at Wonder Valley also grants access to their collection of recreational facilities, including boating and fishing on Dalton Pond, swimming pools, a heated Jacuzzi, and plenty of scenic trails to ride your bicycle or hike! Take our word for it, there's simply nothing better than waking up in the morning with a hearty breakfast waiting for you- it will be at Wonder Valley! Whether you're visiting Southern California for the beautiful weather, the stupendous beaches, or the plentiful attractions, Sleepy Hollow Cabins is one of the best ways to do so! You and your family, your friends, or your sweetheart will all find plenty to love at Sleepy Hollow! Stay in a luxury suite in the hotel, or stretch out in a spacious cabin. Once you're settled in, step outside into the glorious California sunshine and enjoy yourself! There's a plethora of luxury onsite amenities, including a pool, hot tub, BBQs and picnic areas, while the surrounding Crestline area is ideal for fishing, hiking and biking year-round. Make some memories at Sleepy Hollow! The resort is located within two hours of most all Southern California areas and it's only an hour from Los Angeles and Orange County. 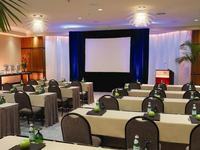 Sleepy Hollow can accommodate groups of 95, perfect for wedding groups, reunions and conferences. Stunning sunsets, deep blue water and pristine white sand beaches set the tone for your ultimate southern California adventure when you stay at Seabreeze Vacation Rentals, LLC. With properties directly on some of the finest beaches in the San Diego area, Seabreeze Vacation Rentals, LLC has the perfect location for your dream getaway. They have over a decade of experience putting visitors like you in some of the finest condos, cottages and luxury homes in southern California. All of the rentals are spacious and filled with the comforts of home plus much more. Lets take a look at Casa Camelot property in San Clemente. This property is designed to make you feel like royalty. Perched on the highest hill in San Clemente the views are remarkable and your only 10 minutes from shopping, fine dining and family activities. Inside this luxury home you will find beautiful solid walnut floors, unique art from around the globe, fireplaces and custom made chandeliers. There is enough room for 12 people to live and sleep comfortably and even a game room. No matter the property you decide on you will be close to all of the activity that southern California is famous for. You can kick back and soak up the ever present sun on the beach. Water Sports are always a fun activity and you can find rental equipment in multiple places beach side. Don't miss out on all the events and fun activities such as Sea World, Lego Land, San Diego Zoo, Wild Animal Park and the extensive state and national park system. Leave your worries behind and join the relaxing southern California vibe with Seabreeze Vacation Rentals, LLC! Check with the friendly staff for specials and deals. They regularly offer discounts on rentals as well as teaming up with restaurants and local businesses to bring you great deals. Per year San Diego has 263 sunny days.